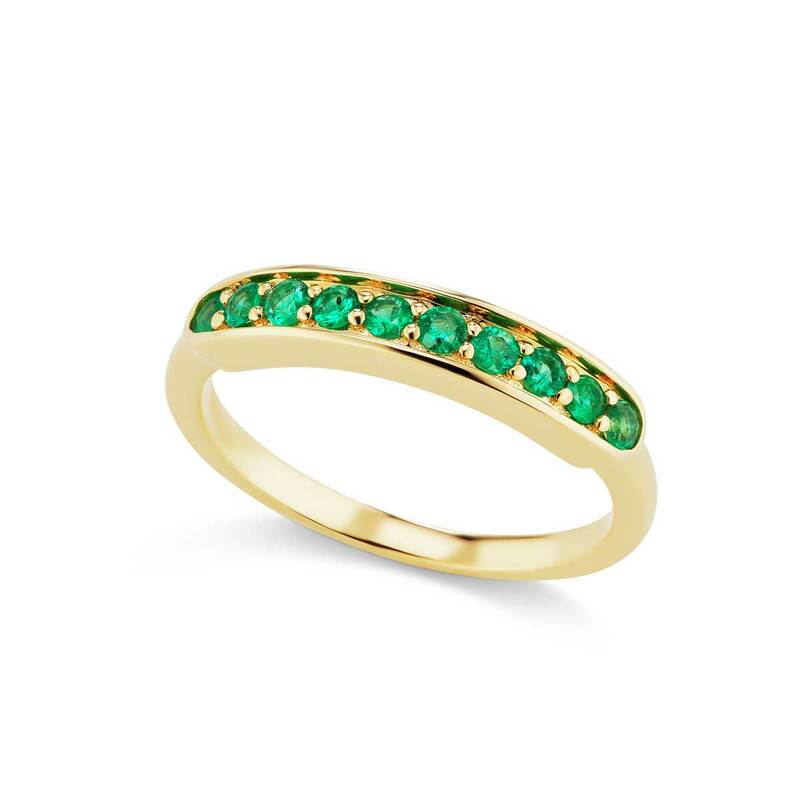 A line of pave set emeralds take center stage in this beautiful half eternity band. Handcrafted in 14K yellow gold. 0.26 ctw Colombian emeralds. 2mm width. Size 7. Complimentary sizing available on most ring sizes. 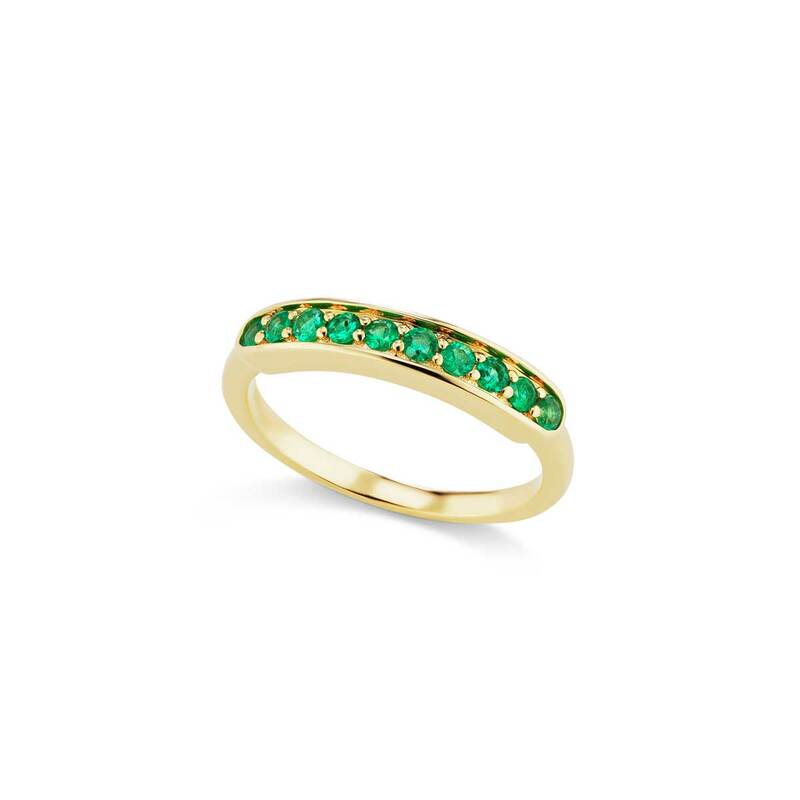 We love the beautiful green color of the pave set emeralds in the is half eternity band which are even more striking paired with other stacking rings.